1. 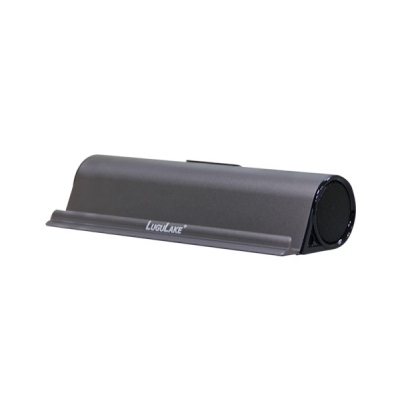 New Bluetooth 4.0 Technology allows you to connect wirelessly to the LuguLake from up to 33 feet away. 3.5mm audio port for non-Bluetooth devices. 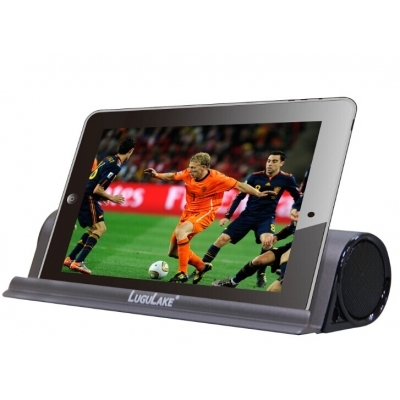 Seamlessly stream and share music, movies, games, phone and conference calls anywhere. Easy to pair - No code/pin needed. 2. Premium Sound with Bass Enhance Technology. Two powerful 3 watts drivers deliver an impressive, high definition sound. Enjoy music and movie at any moment. 3. 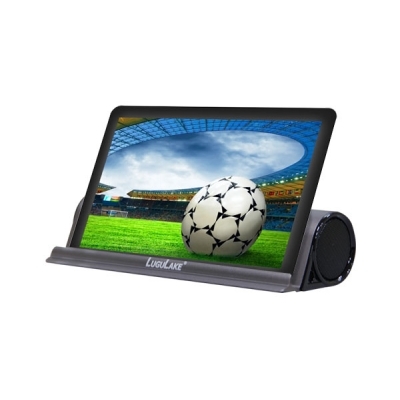 Added functionality - a built-in cradle, the solid and durable cradle firmly holds your iPad and iPhone at a comfortable viewing angle. even if the device is kept inside a bulky case. 4. Built-in-Lithium-ion rechargeable battery for up to 10 hours of playtime, which makes it an excellent solution for those who are constantly on the move. When it's out of power, simply connect the included charging cable to your computer's USB port to recharge. 5. 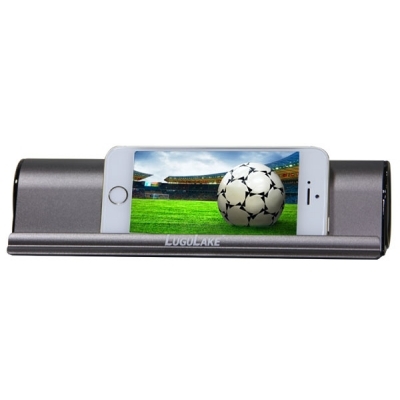 Package contents: LuguLake Portable Bluetooth Speaker, micro USB cable, 3.5mm audio cable, instruction manual and friendly customer service. 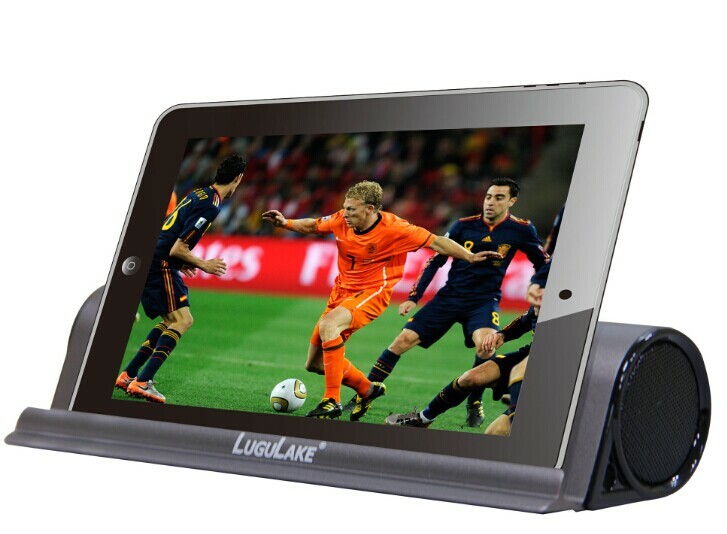 LuguLake is the manufacturer focus on Bluetooth Speaker, devoting into deliver enjoyable sound quality, utility sleek design. The key new feature of Bluetooth 4.0 is its low-energy technology that is optimized for long battery life and high transfer speed. 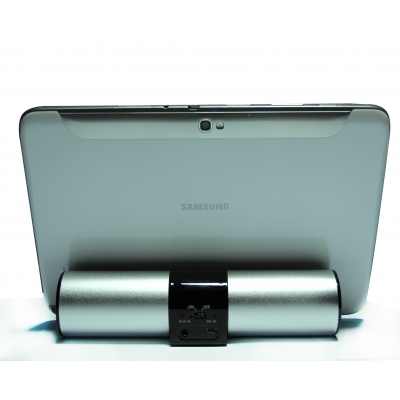 Works with all Bluetooth-enabled devices; equipped with a 3.5mm audio jack for non-Bluetooth devices. Stylish and elegant, solid and durable. 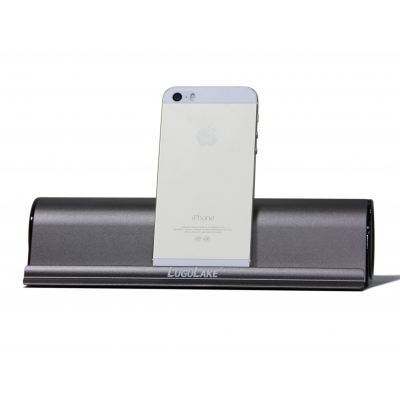 The aluminum is fine, fingerprint resistant and easy to clean. 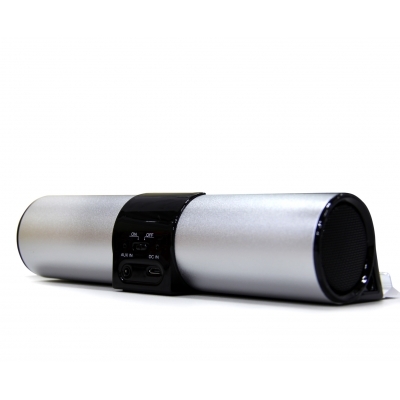 Its ultra portability allows you to enjoy music everywhere anytime. You can enjoy music or videos while cooking, housing, picnic, tent entertainment, sporting, or for party, backyard entertainment ect. Wherever you are, whenever you want. - Smartphones: Apple iPhone 4, 4S, 5, 5S / Nokia Lumia 920 , 820 , 620 / HTC One , First , Droid DNA , 8X , One X , EVO / LG Google Nexus 4, Nexus 7 new 2013 / Droid RAZR HD , MAXX HD , M , Photon Q , Atrix HD / Samsung Galaxy S4 , S3 , S2 , Note 2 & 1 / BlackBerry Z10 , Q10 etc.